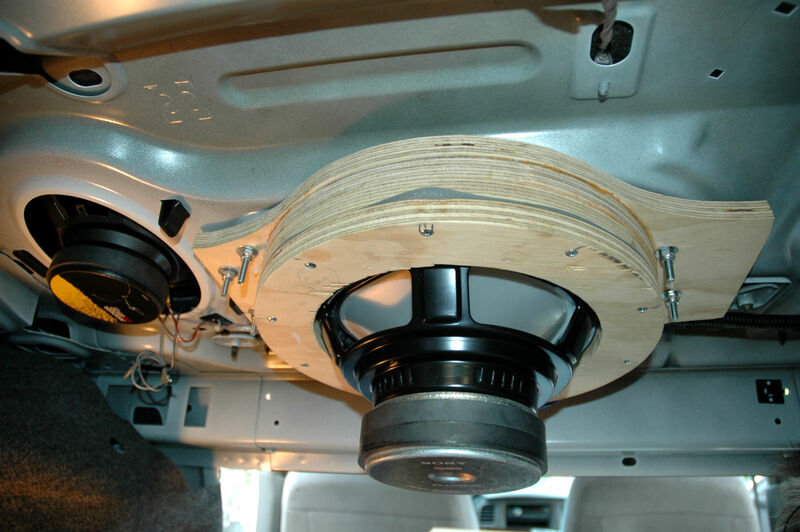 Sorry no help here, been away from custom interiors and car audio for a good while and would not be a lot of help but there are a couple guys here like tjhenry77 who are very sharp on car audio, maybe one of them will see this soon. Probably would not hurt to ask any specific questions you have. ^+1. May try to pm member tjhenry77. Are you just wanting to add a sub and amp but keep the rest of the system stock? I did that to my 07 SS w/Bose. In that case, there was an opening in the rear deck that I used to mount the sub. I had to run power from the under the hood for the amp. For signals, I just tapped them off the rear 6x9's and fed them to the sub amp (in the trunk). It's hidden on the top side, so no finish was necessary there. if you want to add an amplifier and do it right youll need a sound processor that will take the factory signal and normalize it to allow it to be amplified correctly. Something like the jl Audio fix will do this quite nicely. They're cheaper options out there from sound control and a few other brands but the nice thing about the JL fix is that it gives you preouts as well. It allows full customization too. With jl quality. Any new car has a lot going on with the eq settings etc etc and this is necessary to make it sound right and not run into issues. Just had this done on mine. Took it to a reputable shop and they used a line out converter to hook up my amp. Stock unit doesn't put out the best quality but keeps everything stock and nice. I would like to add though; I modified the rear center console access so that it could let some of the bass out therefore sounding better. Had to cut the carpet on the rear seat but part is replaceable along with the cover in case I want to put it back to stock. Still have to finish up the final cover, but all good for now. 2016 Chevy Impala LT. Siren Red.